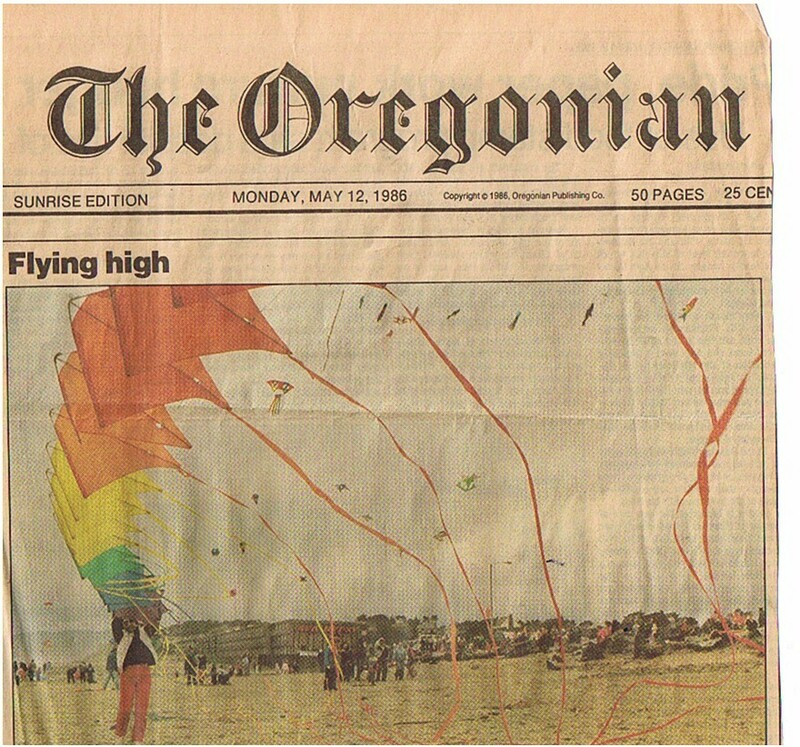 Thirty years ago, I stumbled across a small kite festival at the D River Wayside on the beach in Lincoln City. It was a first time event run by Steve Lamb and his new kite shop called Catch the Wind. Although I was a committed kiter with a kite and line always in the trunk of the car, this was my first organized event. 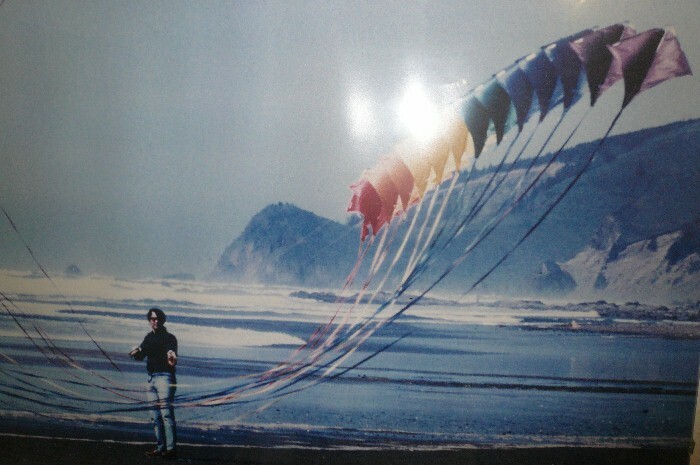 As I have often said, winning a stack of Rainbow Stunt Kites that day changed my life. I came to the beach to fly more frequently. My stack got bigger. I met Susan and asked her to the D River for a day of flying on our first date. I began to help with organizing festivals in Lincoln City. A year later, I wrote a book on Stunt Kites and started a small kite business. I got involved with the Oregon club. Three years later I was asked to be president of AOK. The club hosted the first Seaside AKA Convention and I was the chairman/organizer. And that year I was asked to run for President of the national organization. At the same time, Catch the Wind was growing. They went from one store to three, and ultimately to eight. They began manufacturing products like the SpinSock. They published a catalog and could be found in any yellow-pages. 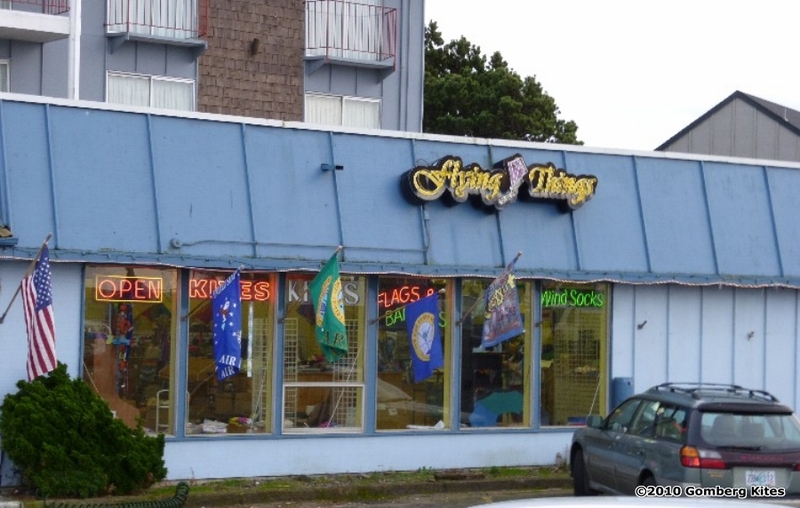 Still based in Lincoln City, they were the largest chain of kite stores in the country. GKPI has continued to prosper. We went from books, to representing Greens Kites from England and then concluded an agreement to act as distributor for Peter Lynn Ltd in North America. We traveled to kite events around the world. We began production of our own brand of custom kites and later added a second tier of mass production kites – G-Kites – for sale in kite stores. The web and our two sites let us reach serious kiters around the world with larger inflatables. And last year, we opened our first retail store. The years were not so kind to Catch the Wind. By the start of the new millennium, they had lost several key staff people. Relationship transitions affected the family managed business. Wholesale markets shifted and the recession impacted retail sales. Product availability was uncertain. 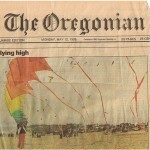 Stores began to close and the city took over Lincoln City’s three annual kite festivals. By the end of 2009, only one Catch the Wind store remained and it was clearly not doing well. So in January, Steve and I sat down to talk. I have often said that I would not be who I am or where I am without the early support and vision of Steve Lamb. Countless kiters in Oregon and the Northwest have been similarly influenced by Catch the Wind, their stores, festivals, and products. CTW introduced large inflatables and lifters on the beach and the concept of “Show Kites”. They pioneered products like Spectra lines for sport kites and the BullDog Foil which inspired the PL Pilot. 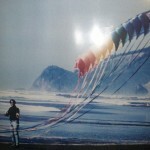 They brought guests like Peter Lynn, to Lincoln City and put our small town on the international kiting map. Gomberg Kite Productions Int’l Inc. is now very pleased to announce that we will be opening the doors of our newest Northwest Winds retail kite store directly across from the D River Wayside in early March. Our original store at Tanger Outlets will remain open too. We are re-organizing the space previously called Catch the Wind/Flying Things. To be clear, we are not buying CTW. But we have taken over their lease. And while we are saddened to see CTW close, we wish Steve well as he semi-retires to focus on his mail-order business. The D-River Wayside is a compact flying beach with clean wind, ample parking, and very high visibility. It is in the center of town and right on Highway 101. And for those interested in such things, it lies almost exactly on the 45th parallel — halfway between the Equator and North Pole. Some years ago, KiteLines magazine called it one of the top flying destinations in North America. We are returning to where serious kiting began for Susie and me. The Wayside is the most popular beach park in Oregon and we believe that this is the best location for a kite store in the Northwest and possibly the entire west coast. Our wholesale program means we have a plethora of great products available. And we have an excellent staff in managers Michael and Jackie Oswald. We now look forward to expanding that staff and returning regular kite shows and events to the D River. We’re committed to making Northwest Winds a fun, exciting, and interesting store for kite enthusiasts of all ages and levels of experience. If your travels bring you to the Coast, stop by and say hello! This entry was posted in 2010, Dave's World, Issue 71 (Mar/Apr), Kite Columns, Kiting Experience, KL Archive and tagged gomberg, lincoln city, shop.